The original kitchen in this old villa, while charming and historical, was not practical for today’s modern homeowner. My client requested a kitchen that would be attractive and welcoming, with all the modern conveniences, while maintaining the period feel of the house. And it had to blend with her first appliance purchase, the very distinctive Falcon AGA range. The painted cabinets are dressy without being formal while blending well with the dramatic colour scheme in adjoining rooms. 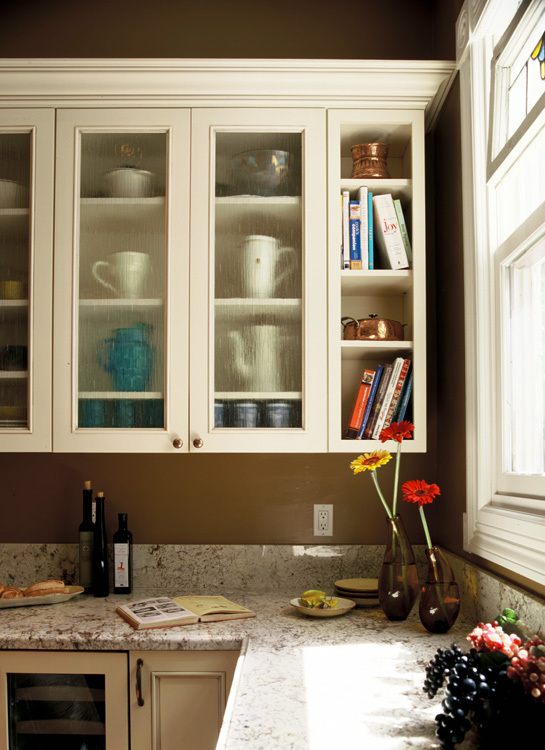 Glass doors in all the upper cabinets make the room seem larger and matching panels hide appliances. The island in this elegant room is topped with a single slab of unique blue granite, a daily reminder of my client’s love of deep sea diving. 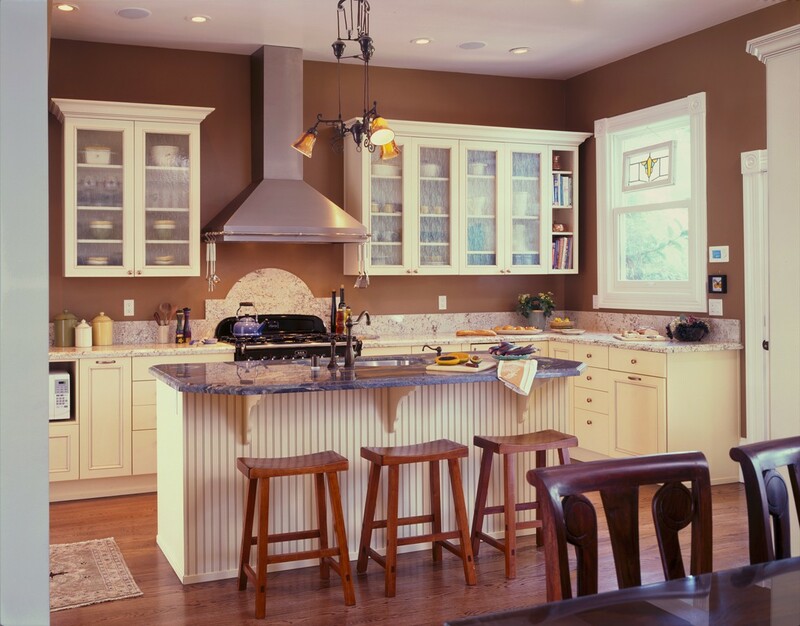 The white granite topping the cabinets along the back wall is hardworking and beautiful, rising to a traditional shape on the splash back.